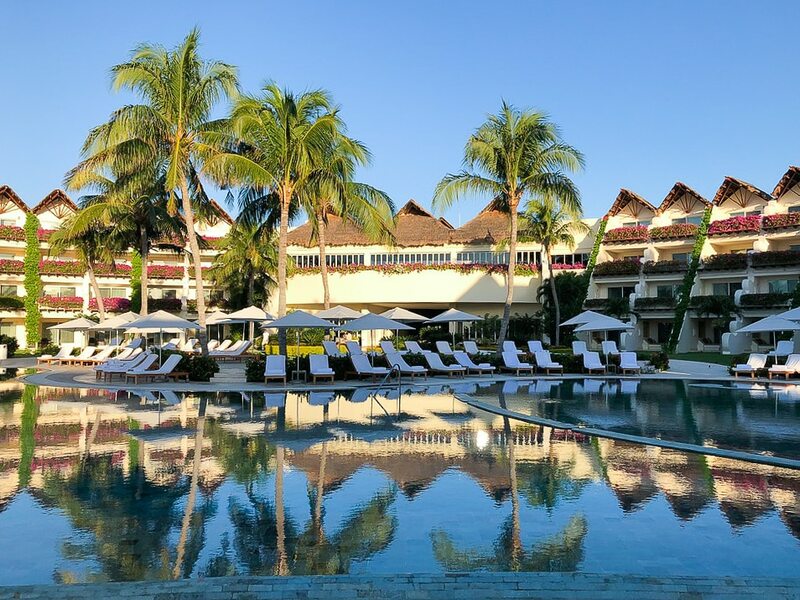 A visit to Grand Velas Riviera Maya all-inclusive resort is a luxurious experience unlike any other. 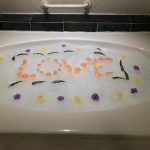 From the time you are picked up at the airport and greeted with a chilled washcloth scented with orange flower to meeting your personal concierge who will be available for your entire stay, everything is thought out to the tiniest detail. 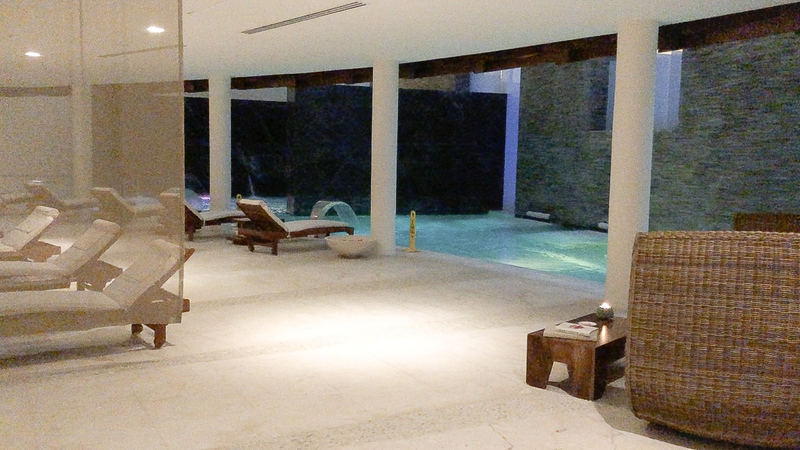 With this high-end luxury treatment, Se Spa still surprised me with all it has to offer during my Mexican getaway. This post contains affiliate links. 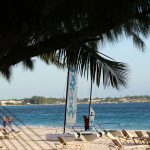 Betsi's World receives a small commission that helps support this blog at no additional cost to you. Thank you! Included in Forbes Star Award Winners, Se Spa is 89,000 square feet large. 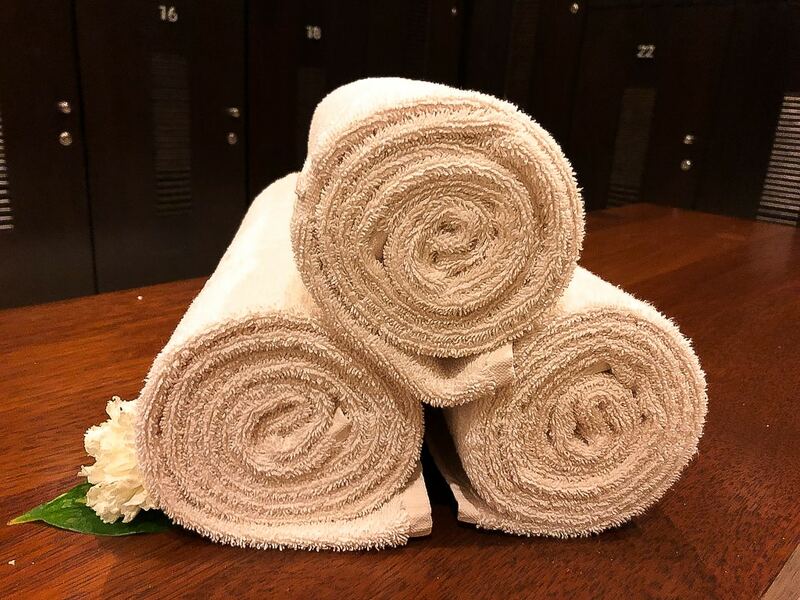 Located on two levels, Se Spa offers complete privacy to both men and women in the locker room and water ceremony areas. 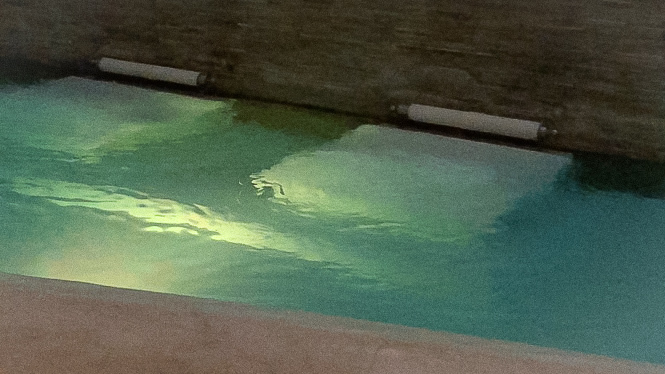 I was mesmerized by the sounds of the water rushing in the Sensation Pool and the aromas of the spa wafting throughout. Coupled with the soothing welcome tea, the mood is set before treatment begins. 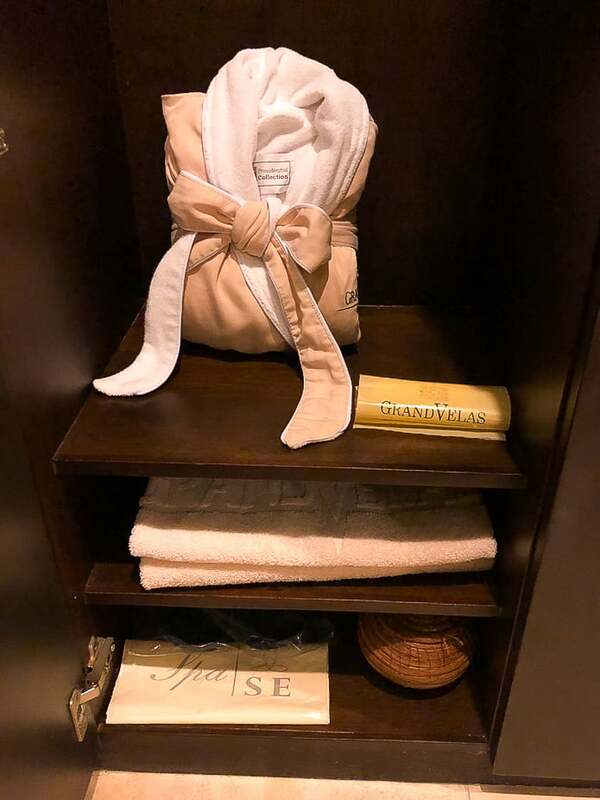 An attendant ushers me into the locker room where a thick, thirsty robe, a plastic bag (to be used later for your wet swimsuit), towel, hangers and a basket for jewelry were waiting for me. The bathroom area, located next to the locker room in the women's area, contains every amenity you might need including tampons, hair dryers, eye makeup remover and hydrating body lotion. After changing into my swimsuit, it's time to begin the Water Ceremony. The Water Ceremony is a sensual, 80-minute treatment. The first step of the Water Ceremony is to shower and rinse off any lotions or perfumes. The next step in the ceremony is the sauna, a warming, dry heat that seems to seep out of every crevice. 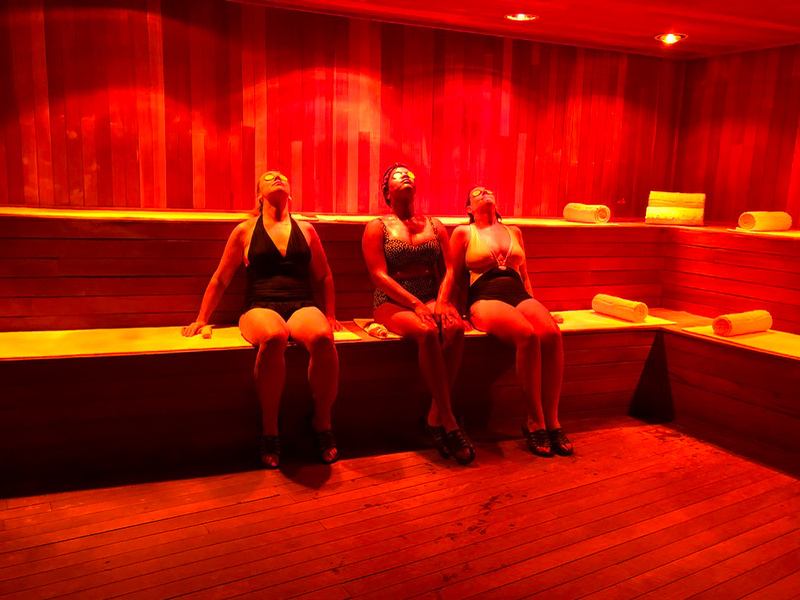 The sauna is designed to completely relax you, in preparation for the continuation of the ceremony. The next stop on the Water Ceremony journey is the Ice Room. This is a sub-zero room designed to assist in shrinking the pores and stimulate circulation. The ice room is followed by the Steam Room, which is filled with thick, humid, steamy air that circulates around you. 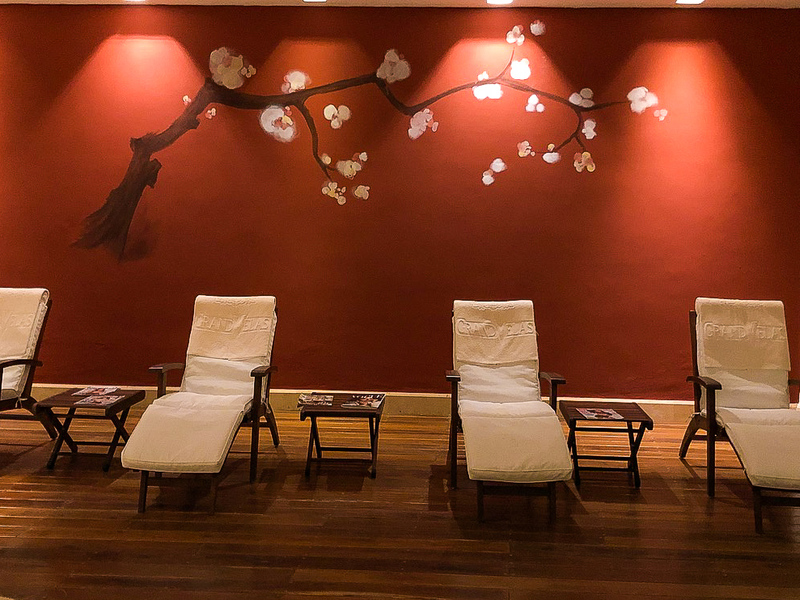 The Clay Room, where clay is applied all over your face, arms, chest, and hair, is designed to clear out all impurities in your body, and to prepare you for the final piece of the Water Ceremony. Before being led to the Sensation Pool, head to the shower where alternating hot and cold water rinses the clay from your body. Though I was a bit surprised at the alternating hot and cold water, it was refreshing, and definitely prepared me for the final stop in the Water Ceremony – the Sensation Pool. The Mayan Culture felt a deep connection to water, and this connection reverberated throughout their culture. They believed that the water found in cenotes (underground water reserves) were portals to their gods and this water was used in their religious ceremonies as well as their daily lives. Se Spa brings the Mayan connection to water in the final stop in the Water Ceremony – the Sensation Pool. The water in the Sensation Pool is infused with minerals to help the skin and hair and will feel smooth and silky when you enter. The pool is only about 4 feet deep so you're able to walk through the pool but you can also swim from station to station if you choose. Water and its sounds are proven to be relaxing and there's no exception during the Sensation Pool experience. Waterfalls within the Sensation Pool are designed to connect you to the water and help you relax. One of the stations is a Sensory Pebble Walking – as you walk in the area it stimulates your feet and your mind. Think foot reflexology that is a total immersion experience! Water Bubble Beds are designed to massage your entire body – I loved these so much, I wanted to take one home with me! These individual beds with a roller for your neck incorporates water jets on the bottom of the bed that gently massage your entire body, leaving you relaxed and limp as jelly. Jets that are set within the pool wall at different levels and pressure levels help to relieve any stress that may linger in your body, as they massage your neck and lower back. 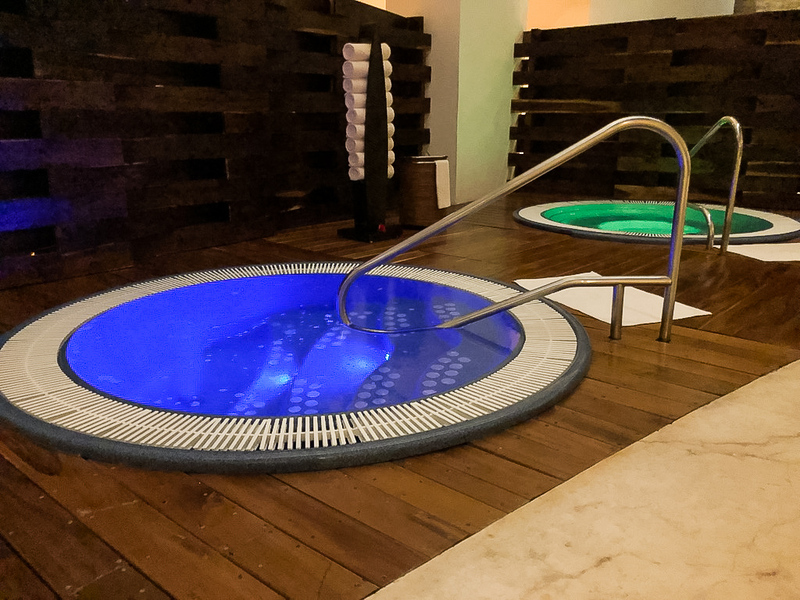 Bubbling up from the pool floor are hydrotherapy bubbles that massage your feet, calves, and thighs. This station is lovingly referred to as the Bubble Volcano because the bubble burst from the floor of the pool like lave from a volcano. 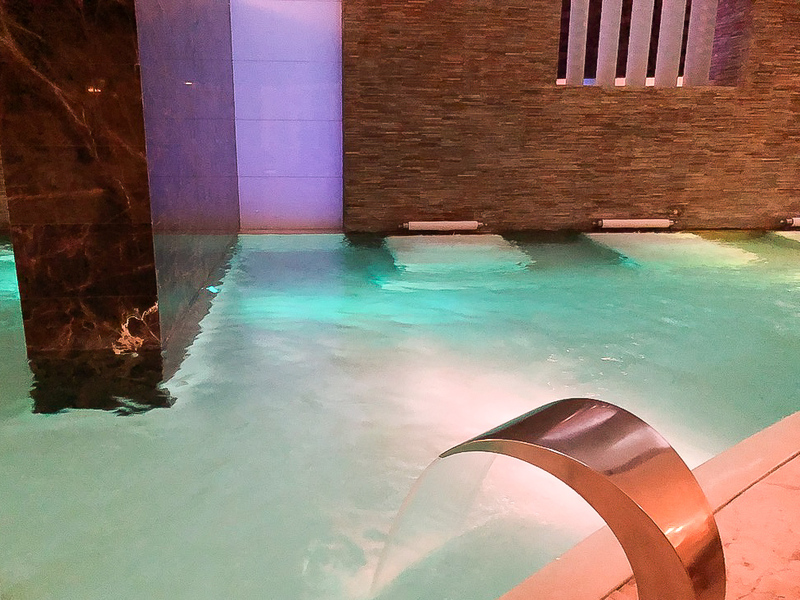 After the sensual experience of the Sensation Pool, a dip in the hot and cold water pools relax and stimulate your body in preparation for your next spa treatment. The Water Ceremony is like nothing I have ever experienced before, and definite in the category of over the top luxury! 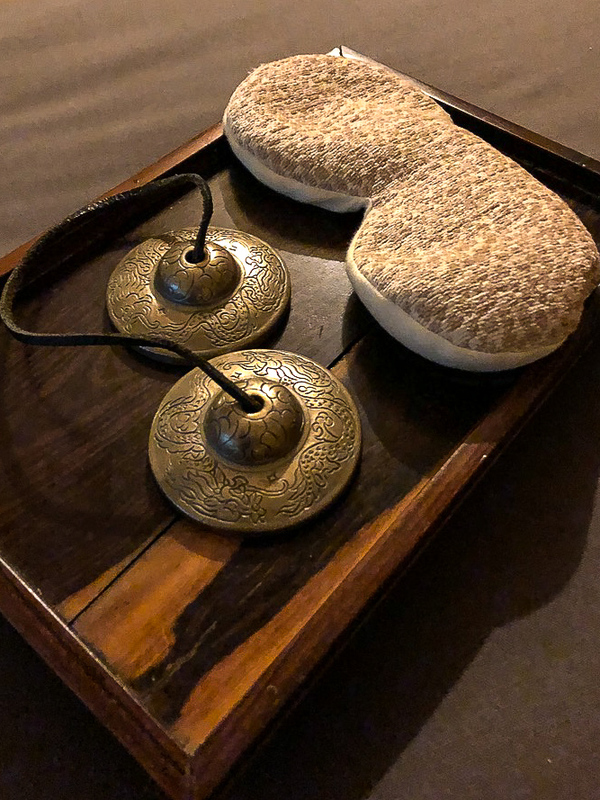 After finishing the Spa Water Ceremony, the concierge met me and escorted me upstairs to meet my therapist for the 80-minute Organic Kaab Honey Massage. 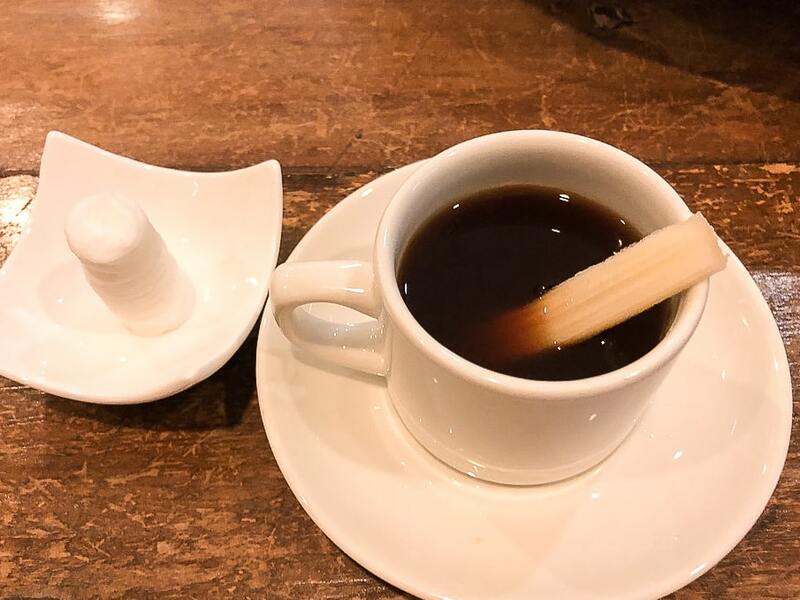 Inviting me to immerse my feet in a bowl of warm grains, she performed a traditional Mayan blessing as incense derived from copal resin wafted through the room. The therapist invited me to change out of my robe and advised when ready, to ring the cymbals at the head of the massage table. Using honey from Mexico, my therapist begins the massage of medium pressure over the entire body, paying attention to even the smallest details. I took a peek while I was laying face down and noticed that my therapist had removed her shoes so she wouldn't make any noise! Another bonus: the therapist never spoke unless she was asking if the pressure was good, the room temperature was good or she was instructing you to turn over. It was sheer, relaxed bliss. After the honey massage, my therapist invited me to enter the whirlpool tub in the room rinse the honey off. Soaking in the water that is enhanced with bark from the Chaká tree, I sipped flavored water, designed to rebalance my body. Mayan legends say that the Chaká comes from two brothers fighting over a lover. In the afterworld, the brothers are made into two separate trees – the Chenchén, which has a burning sap, and the Chaká which has a healing sap. After soaking in the tub, it's time to dry off for the final rub down. The final rubdown is a vanilla balm that moistures the body, and a blissful, sensory way to end my Se Spa wellness experience. An attendant leads me to the relaxation area where a collection of chairs, hot tea, infused water, and light snacks await me. I rehydrated after my experience and chatted with some of the other guests before making my way back to return to reality. Take advantage of the Water Ceremony. If you've scheduled a facial, body ritual or massage, the Water Ceremony is free. If you have scheduled a service in the beauty salon or just want to enjoy the Water Ceremony the cost is $80 USD. Arrive 80 minutes early for your treatment if you're experiencing the Water Ceremony before a treatment. Bring a bathing suit or, if you wear it, bring a change of underwear to change into once you're finished. The resort is large so if your room isn't located in the Zen section where the spa is, you might have to put a wet suit back on. The spa can provide you with paper undergarments if you do forget. Relax! This is a once in a lifetime experience. It can be hard sometimes to enjoy yourself when receiving body treatments but the staff are very professional and discrete. Leave your cell phone in your locker or your room. 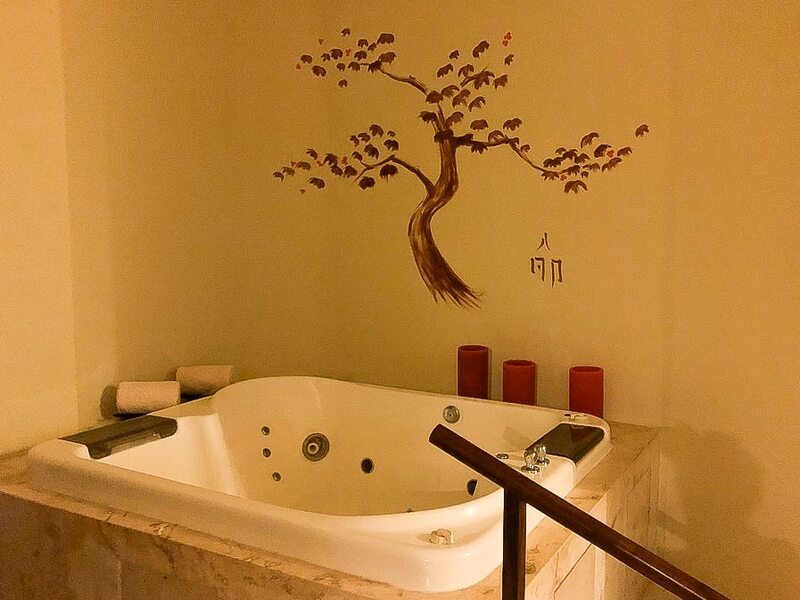 No pictures all allowed in the spa areas and this is a time to disconnect and take care of yourself and your wellness. On a family trip or at the resort for a wedding? Book your treatments as a group. Doing the water treatment with friends and family is a special treat. Couples massages are also available. Not in the mood for a full body treatment? 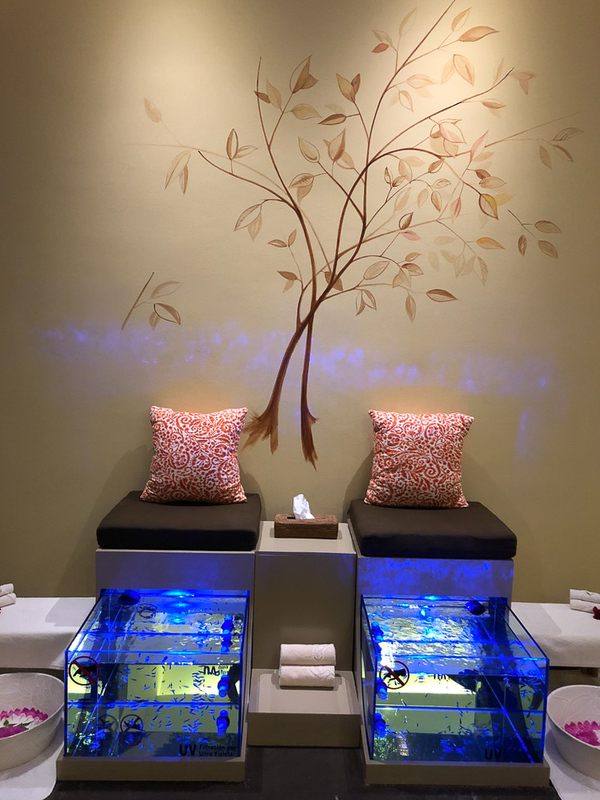 You can also get a manicure/pedicure, have your hair and makeup done or even have the Velas Fish Treatment where the Garra Rufa fish removes skin from your feet. 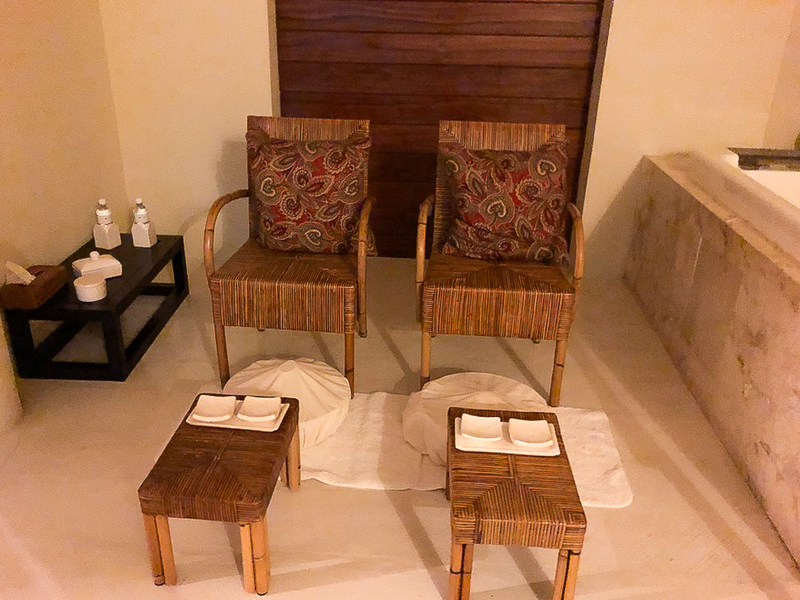 If you are looking for decadent luxury when visiting Mexico‘s Riviera Maya, plan a visit to Grand Velas Riviera Maya, and include some time to relax at Se Spa! Disclosure: The writer, Marcea Cazal was given complimentary accomodations and spa treatments while attending a writing retreat. The opionions are all Marcea Cazal's. 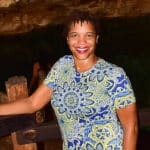 An avid traveler since the age of 1 (her first trip was to Jamaica), Marcea Cazel enjoys traveling around Florida finding unique places to visit that don’t include the standard amusement park. With her travel blog My Cornacopia, Marcea gets the chance to visit mermaids, swim in sinkholes and enjoy the natural beauty of the Sunshine State. Her next travel ventures include visiting all 175 Florida state parks and writing about African-American museums around the United States. When not traveling Marcea enjoys reading, watching old movies and spending time with her family. 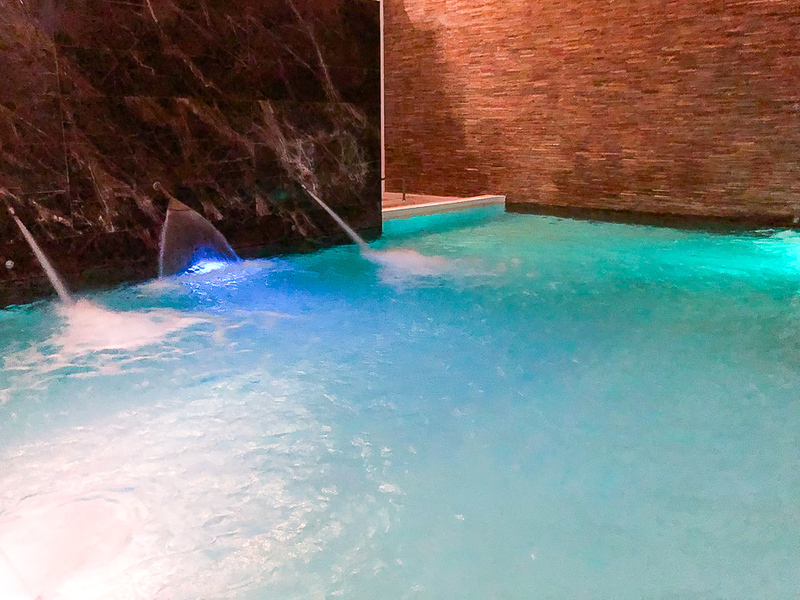 I stayed at Velas Vallarta and visited its spa for a chocolate body wrap. 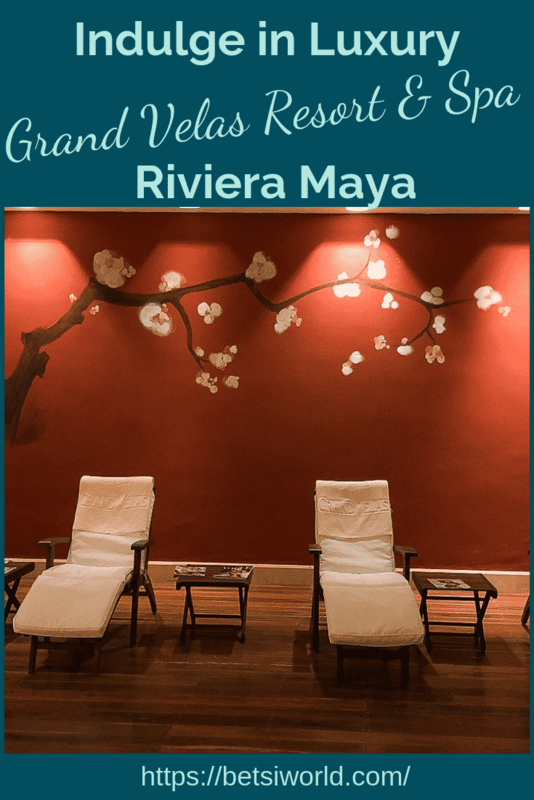 It was truly decadent, so I’m sure I would enjoy a visit to the Grand Velas and Se Spa in the Mayan Riviera. That sounds delightful! I have the Velas Vallarta on my radar …. they are luxurious!